with access to more content than ever. See what’s new. Cancel anytime. 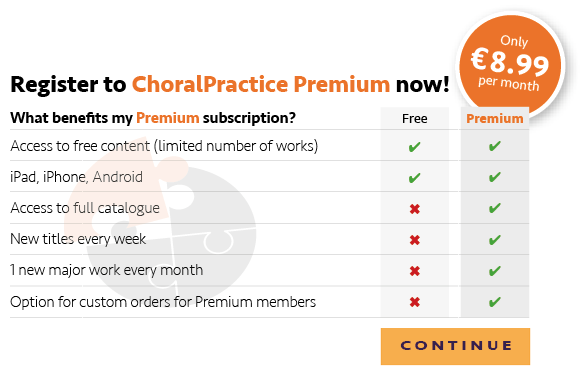 You still have the possibility to stay onboard as a ChoralPractice Free member, for no charge at all. And if you are a ChoralFactory user you can continue using ChoralPractice as before. Access ChoralPractice´s learning tracks anywhere you want. Download the app on your iPhone, iPad or simply use the webplayer in your web browser. Welcome to the world´s most advanced service for learning tracks! Check out the practical functions in the ChoralPractice Player that makes rehearsal so fun and easy. In the player an animated marker is synchronized with the audio tracks and indicates where you are in the song at all times, so you don’t have to be able to read music to use ChoralPractice. With the mixer you can adjust the level of all the different parts whilst listening to the song. ChoralPractice let´s you repeat a chosen section. Perfect when you need to practice a particulary difficult part of a song. In our iPhone- and iPad app you can even slow down the tempo to be able to practice the fast runs of Handels Messiah and others. Do you need access to a particular work for a certain period of time? Access ChoralPractice´s learning tracks anywhere you want. Download the app on your iPhone, iPad, Android or simply use the webplayer in your web browser. Learn Handel´s “Messiah”, Mozart´s “Requiem”, Rossinis “Petite Messe Solennelle” and other great choral works with ChoralPractice. No MIDI-files. Only real voices! 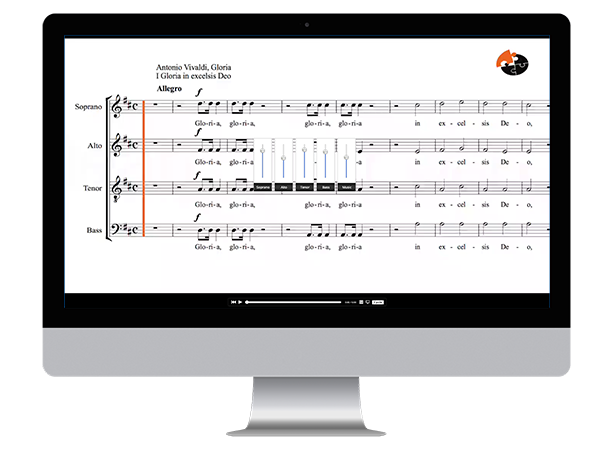 Register today, and get instant access to ChoralPractice´s learning tracks on all your devices!